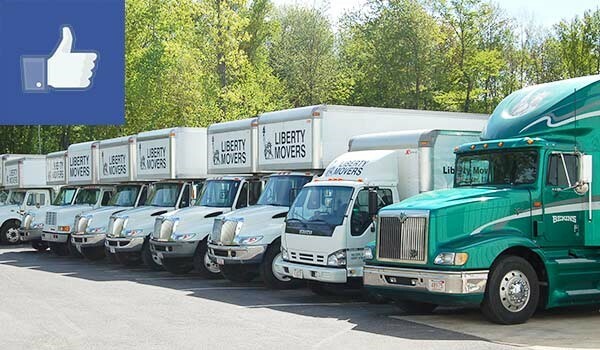 Planning a stress-free interstate move requires the help of an experienced moving company, and Liberty Movers, with nearly 100 years of industry experience, certainly has what it takes to help you with your next move! Since the day our company was founded back in 1920, our goal has been to provide quality relocation services and an exceptional moving experience to our customers. While a lot has changed in this business since we made our first move, our strong commitment to a customer-first philosophy has remained the same. If you’re planning an interstate relocation, call us—the Worcester interstate moving company that’s been in business for nearly a century! BBB Accreditation: Our long-standing BBB accreditation gives you the peace of mind of knowing that we are a well-established and reliable business. Modern Equipment: Our household movers use modern equipment and keep up-to-date on the latest regulations governing interstate moves. As a Interstate Agent for Bekins Van Lines, we can handle your move anywhere from coast to coast! Full-Service Moving: Choose our full-service moving, and we’ll handle every detail of your relocation—from start to finish. Storage Solutions: Our secure storage facilities provide a safe place to store some of your belongings before, during or after the move. We offer both short-term and long-term storage solutions and, when you’re ready, we’ll deliver your items right to your new front door. Specialty Moving: From grandma’s best china to your prized collection of valuable antiques, our specialty movers can handle your treasured and fragile items with the necessary care to ensure they arrive in perfect condition. If you’re planning a state-to-state move, contact the premier Worcester residential movers. Give Liberty Movers a call today, or simply fill out our online contact form to schedule your free, no-obligation estimate and work with a Bekins International agent!